Home › Rock Music › Genesis – Duke – Is it time to Turn it on Again? 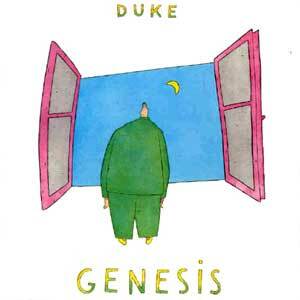 Genesis – Duke – Is it time to Turn it on Again? Duke by Genesis is perhaps the band’s best album as a three piece. Duke was the third concept album I heard (after 2112 and Nursery Cryme) and the first one I managed to listen to all the way through. I played this album to death when I was 15. The album closes with the ten-minute plus “Dukes Travels / Duke’s End” which manage to replay parts of the whole album and is a joy to listen to, even now. I know that because I just heard the album again for the first time in probably twenty years. After this deplorable incident, Mike Rutherford and Tony Banks were forced to take to the streets of the East End of London** where they met the Artful Dodger (later known simply as “Phil”). Dodger took them under his wing but also introduced them to a life of criminal records, some seeming to last several hours. Delivered from Fagin’s gang by the Angel Peter Gabriel they released nine albums of beautifully-played nonsense, recruiting Artful Dodger on the drums. Dodger subsequently deposed the Angel Peter Gabriel as singer of the band after the latter dressed as a singing flower. Phil Collins left the band in 1996 and left the UK shortly afterwards at the start of Tony Blair’s leadership. I leave the last word to Noel Gallagher who famously said in 2005 “Vote Labour. If you don’t and the Tories get in, Phil is threatening to come back”. *(see performances of “Beth” where Criss threw flowers into the audience). ** This may not be true. Duke is an amazing album, people need to stop crying about Gabriel already. yes i’m a big fan of both (Peters genesis and Phil’s Genesis) and Phil’s solo albums were annoying – but Duke is one of my all time favourite albums. a masterpiece. Thanks for your comment. If you are fan of Duke, May I recommend the latest album by Field Music? It’s very different but I can’t help thinking about Duke when I hear it.